Yesterday I talked about paying particular attention during our Lenten fasts and journeys. That is a difficult pursuit in a world where there are so many distractions and so much noise. Some of the distractions are good things…there is much in our world to enjoy and in which to be immersed. Still, sometimes the amount of information and the number of people we are in contact with is staggering. We know more, more quickly, than ever before. We know about more needs, we know about more people who are suffering and we want to help in some way. We are able to enjoy relationship with so many people through blogs and through Facebook…it really can become overwhelming. Again, Lent speaks a word to us to slow down and to limit ourselves. To pay attention. Limit ourselves. Turn some things off so we can pay attention to the eternal, to Jesus’ time in the desert and to His walk to Good Friday and ultimately Easter. There is great freedom in being limited. There is freedom in being told that we do not have to worry about everything in this moment. At least for these few days we have the freedom to set aside some in order to make one thing more bright. The freedom of limitations. It sounds wrong….and yet, as we enter a little more each day into the discipline of Lent we find that the limits help us and give the space we need to concentrate. That doesn’t meant that we immediately are at ease in limits; sometimes we need a few days to let the noise clear out of our own minds before we can settle into thinking about just one thing. Forty days is a good stretch, long enough to give us the space to clear our minds and to be comfortable in thinking about Jesus more intentionally. I’m getting there…yesterday was better than the day before and today I am already looking forward to the time to read and to contemplate and to pray. I am hopeful that this Lent is going to be a season of truly seeking Jesus. A season of understanding more what it means that Jesus died to save me, a sinner. Then Easter….the explosion from the grave and our explosion of joy and praise after this season of austerity. I remember Andi Ashworth saying at one of the women’s retreats for our church to pay attention because everything is important. I’ve tried to be better about that, with a mixed level of success. Some days when the hustle is too frantic in the morning and the list of to-do’s around the house is too large and the distractions in my mind too loud…it is difficult to think it is all important. Some days it all seems rather mundane, or just chaotic. Those are the days I need the reminder, though. Those are the days I need the check to remember that even that day is important. We don’t get many, after all. My Uncle Barry is in his last hours. He has been struggling with Alzheimer’s and now is nearing the end. His children are with him and are waiting and watching, and praying for God to bring him peace and take him home. Ashes to Ashes and Dust to Dust. There is something very holy about one approaching their death. There is nothing mundane. Every moment is important. Everyone is paying attention. It is folly to think we could live that way continually…we would exhaust ourselves. However, back to Lent, it is possible for a short season to attempt to pay deeper attention. To do things a little differently. Whether it is abstaining from sweets or from FB…it is an attempt to create something different in our routine. To force ourselves to pay attention. And so Ash Wednesday sends out the call to pay particular attention during Lent. Particular attention to the way we’re spending our lives. Particular attention to the Word of God. Particular attention to the journey of Jesus toward the cross. Particular attention to our souls and to being human. Go read the rest of the article by Stacie Gleddiesmith, and check out the rest of her blog…it’s great reading. Many who participate in Ash Wednesday have their head marked with ashes. This is an external sign and reminder that we are simply dust. Lent for many is about austerity and suffering. It is our time to mirror when Jesus went into the desert to fast and pray. A time of sobriety. And yet, we do not suffer to gain our own salvation or to even gain favor with God….so, how do we take this? It struck me today as I was thinking on this that we don’t walk the same path of the desert with Jesus in this time…we watch Him as He goes on His way of suffering. We are witnesses to this. We do not have to suffer the cross, we do not have to suffer the turning away of God. We get to walk in the Resurrection without having to drink from the same cup as Jesus did. 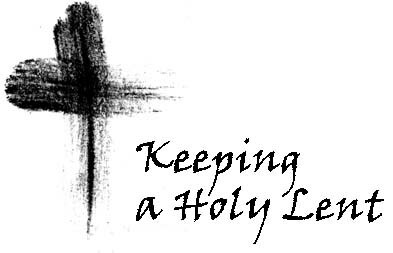 So, Lent….this year for me it is a time to witness more quietly Jesus on His path to Good Friday and, Praise God!, Easter. Still…today. Ashes. We are but dust. Jon Trott from Jesus People USA shared this article yesterday. It is a difficult article to read if you are in the midst of watching someone suffer with Alzheimer’s or demenita…but it also sparks some healing and thinking about what today marks.